Fisher, Robin. "John Duncan MacLean". The Canadian Encyclopedia, 28 May 2018, Historica Canada. https://www.thecanadianencyclopedia.ca/en/article/john-duncan-maclean. Accessed 20 April 2019. John Duncan MacLean, politician, premier of BC 1927-28 (b at Culloden, PEI 8 Dec 1873; d at Ottawa 28 Mar 1948). He taught in prairie schools and in BC, and became a principal in Rossland, BC, before going to McGill. John Duncan MacLean, politician, premier of BC 1927-28 (b at Culloden, PEI 8 Dec 1873; d at Ottawa 28 Mar 1948). He taught in prairie schools and in BC, and became a principal in Rossland, BC, before going to McGill. He graduated with a medical degree in 1905 and was practising in Greenwood, BC, when elected a Liberal MLA in 1916. Appointed provincial secretary and minister of education, he became minister of finance in 1924. When John OLIVER's failing health became known to his party in 1927, MacLean was made leader designate and, after Oliver's death, MacLean became the province's 20th premier (August 20), serving for one year. Though a competent Cabinet minister, he was an unimaginative, colourless premier who took office when his party's fortunes were on the wane. The Liberals were defeated by the Conservatives in the 1928 election. 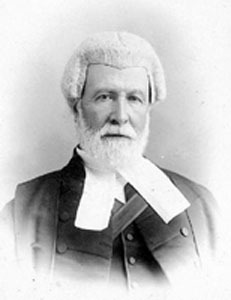 After an unsuccessful bid for a federal seat, MacLean was appointed chairman of the Canadian Farm Loan Board in Ottawa and held the post until his death.